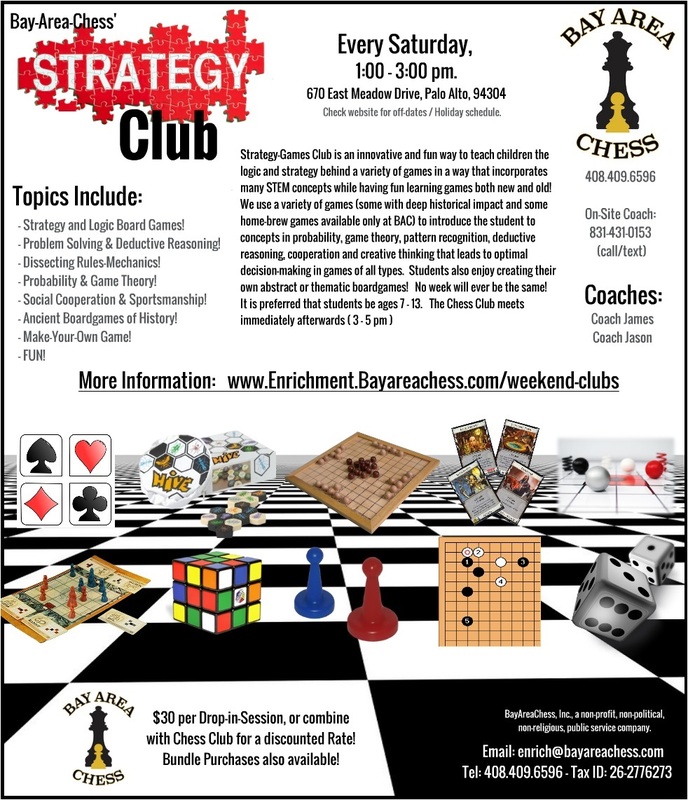 Join Coach James to learn all about strategy, creative thinking, theories and how to use mental math and strategy principles over the boards and games. BayAreaChess regularly organize and hold Strategy Game Camps over the breaks. Please, check out our offerings!